The government has decided to seek unlikely allies in its struggle to end child marriage: religious leaders, the group of people who have long been accused of stymieing such efforts. For years, religious leaders have perpetuated the practice of child marriage as they tend to have a narrow view of sexuality and marriage, according to the Women’s Empowerment and Child Protection Ministry. The ministry said it was now time to turn them into allies. Some Muslim clerics in Central Java and West Nusa Tenggara have already agreed to promote the campaign against child marriage, the ministry’s assistant deputy on children’s rights, Rohika Kurniadi Sari, told The Jakarta Post on Tuesday. “They said why don’t we deliver the message through Friday prayer sermons? Because men are also agents of change who could reduce the number of child marriages,” she said. 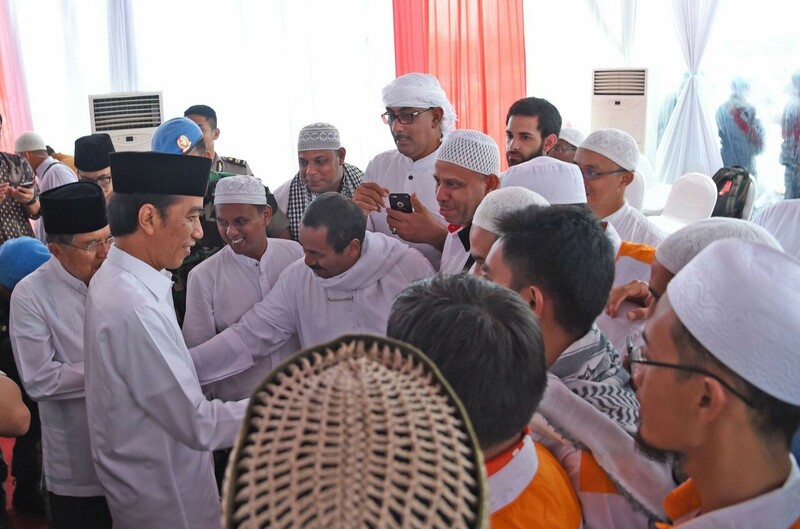 Rohika said her ministry would coordinate with the Religious Affairs Ministry, which reportedly has plans to issue guidelines on standardized Friday sermons, to discuss the possibility of delivering the anti-child marriage message through the sermons. “We are pushing the Religious Affairs Ministry to review the standardization and if there is already one, we will request the addition of this message because it’s important,” she said. The ministry’s assistant deputy on child protection from violence and exploitation, Rini Handayani, claimed that United Nations Children’s Fund (UNICEF) had actually produced a guidebook on how to campaign for child protection in Friday sermons. “Right now we are working on [making a Christian version of the book]. About how sermons at churches could talk about child protection,” she said. Rohika said the problem with some Muslim preachers was that they tended to measure preparedness to get married, or adulthood, merely based on the onset of puberty. This narrow view, she said, presented a considerable barrier to ending child marriage in the country as the practice is accepted by communities as part of their social fabric, making it seem to be a non-issue. This has resulted in child marriage rates flat-lining in the country. According to data from the Central Statistics Agency (BPS), the number of child marriages (below 18 years old) stood at 22.8 percent in 2015, down only slightly from 24.5 percent in 2010. Child marriages are closely linked to a severe drop in life quality for girls. According to UNICEF, girls who are married as children tend to drop out of school, thus limiting their employment opportunities. “Child marriage severely affects girls’ education as those who get married before the age of 18 are six times more likely to drop out of school,” UNICEF Indonesia child protection officer Fadilla Putri said. They are also prone to complications during pregnancy and labor, which hampers the country’s efforts to produce quality human resources. Rohika said that the ministry would try to deliver the campaign within a more universal message on how to raise a child properly.